Mail them to admin@dragonsforkids.co.uk and put on your name, age and something about your piccie and I’ll be more than happy to post it up. 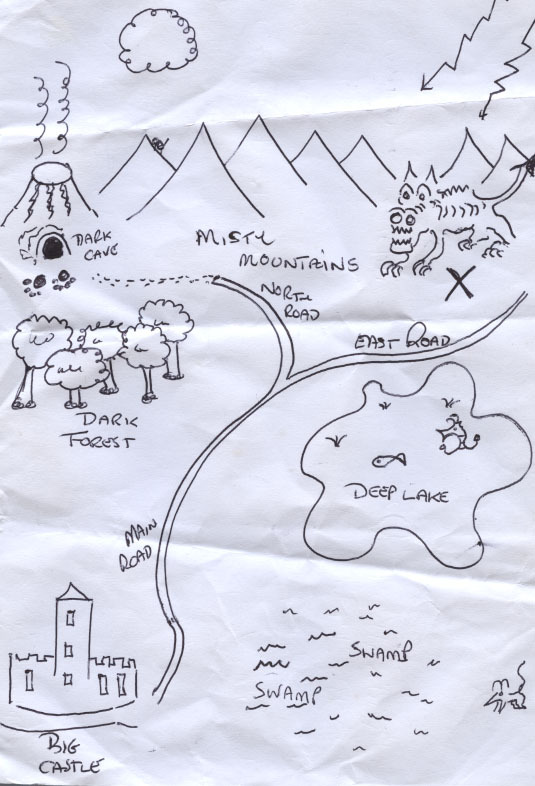 OK now I’m no Picasso, but I like to doodle and I am going to learn to do some do my dragon pictures better one day. But for now I’ll get the ball rolling with two pictures I put together for my little girl. 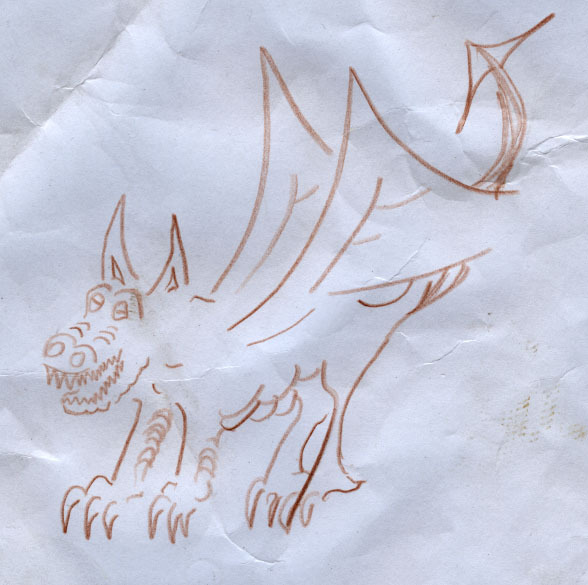 Picture a dragon, picture a dragon drawn by an amateur with the nearest brownest pencil and picture it after it’s been scrumpled up on a car floor for some weeks.